← Huh, Don’t Trust Someone Named Curveball. Got It. A leaked manuscript by one of Sarah Palin’s closest aides from her time as governor charges that Palin broke state election law in her 2006 gubernatorial campaign and was consumed by petty grievances up until she resigned. The unpublished book by Frank Bailey was leaked to the media and widely circulated on Friday. The manuscript opens with an account of Palin sending Bailey a message saying “I hate this damn job” shortly before she resigned as Alaska’s governor in July 2009, less than three years into her four-year term. The manuscript goes on for nearly 500 pages, a mixture of analysis, gossip and allegation. Copies of the manuscript were forwarded around Alaska political circles on Friday. The Daily News received copies from multiple sources, the first from author Joe McGinniss, who is working on his own Palin book. McGinniss didn’t respond to a message asking where he obtained the manuscript and the reason he circulated it. Bailey, a political insider who joined Palin’s 2006 campaign for governor and became part of her inner circle, has never before told his version of the Palin story. Bailey has consistently refused requests for interviews and did so again Friday. The book was co-written with California author Ken Morris and Jeanne Devon of Anchorage, who publishes the popular anti-Palin website Mudflats. Palin may have violated Alaska’s state election law by collaborating with the Republican Governor’s Association on a campaign ad. “State candidates can’t team up with soft-money groups such as the Republican Governor’s Association, which paid for TV commericials and mailers in Alaska during the election in a purported ‘independent’ effort,” the Anchorage Daily News’ Sean Cockerham and Kyle Hopkins explain. 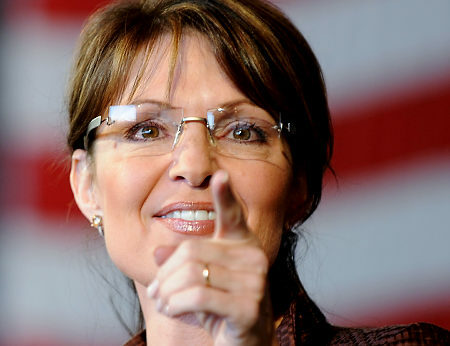 Bailey claims he was “recruited” by Palin’s husband, Todd, to take down Mike Wooten, a fire trooper who was engaged in a child custody battle with Palin’s sister, his ex-wife. According to Bailey, “Todd Palin kept feeding him information on Wooten, which he passed on to troopers.” Bailey also asserts that the selection of Superior Court Judge Morgan Christen as one of the top two judges considered for Supreme Court appointment by the governor was directly influenced by Christen’s ruling against Wooten in the custody fight with Palin’s sister. Palin supposedly abandoned a commitment to work with the Alaska Family Council to promote a ballot initiative outlawing abortions for teens because she was working on her book. In the manuscript, Bailey writes that this was the final straw, as he had realized Palin was motivated primarily by the prospect of making money. Frank Bailey’s co-authored manuscript, “Blind Allegiance To Sarah Palin,” which leaked out via his agent’s emails to potential publishers, is dynamite. Why? Because Bailey was as close to the Palins as anyone from Palin’s first race for governor to the bitter end, is a rock-ribbed Fox News Republican, has vast amounts of firsthand data (the emails he has published alone reveal a lot), has contempt for Trig skeptics like yours truly, and comes to a simple conclusion in retrospect: Palin is a dangerous, vindictive, incompetent, congenital liar who has no business in any public office. Any publisher interested in the truth about Palin (Harper Collins therefore need not apply) should fight to publish it. In the end, what makes Bailey’s manuscript worth more than other Sarah books is his liberal use of contemporaneous records — long quotes from e-mails written at the time by the actual participants. If you want to understand who Sarah really is, you can’t beat her own words. There’s also just, well, nutritious nuggets like the following. Bailey describes Palin’s eventual media strategy: avoid any MSM interviews and get talking points out through surrogates. Who were they? Bailey names names: Bill Kristol, Mary Matalin, former Bush aides Jason Recher and Steve Biegun, GOP officials Nick Ayers and Michael Steele, Rush Limbaugh, Laura Ingraham, Glenn Beck, Greta Van Susteren, Sean Hannity, and Bill O‘Reilly. It’s not exactly an unfair question, but it also presumes that every other governor ignores national stories and keeps themselves insulated, which is hardly the case. Palin by this time had already become a national political figure, especially on conservative issues through the burgeoning Tea Party movement, and had been outspoken on social issues since the presidential election. It’s hardly surprising that Palin would want to work to keep up a national profile, which is harder to do from Alaska, both for the grassroots leadership she wanted to provide and for her own political ambitions. While it’s a fair point for criticism from the perspective of Alaskans, it’s hardly the mystery or the anomaly Bailey suggests. “A leaked manuscript by one of Sarah Palin’s closest aides from her time as governor charges that Palin broke state election law in her 2006 gubernatorial campaign and was consumed by petty grievances up until she resigned.” Nah, that doesn’t sound like her. Must be a governor of another unpopulated northern meth-and-jerky wasteland they’re thinking of. On the other hand, it appears this book has been leaked to Wonkette at least twice, by somebody with a South African e-mail address. And the publisher is said to be upset. Fine. Anyway, here is the good quote holding everything together, dating to right before her resignation as governor: “I hate this damn job.” If she didn’t like that job, she must be very happy she will never be president! Pam Pryor Palin, spokeswoman for Palin’s political action committee, said Palin probably won’t acknowledge Bailey’s book. “Doubt she will respond to this kind of untruth,” Pryor wrote in an email to the Daily News.